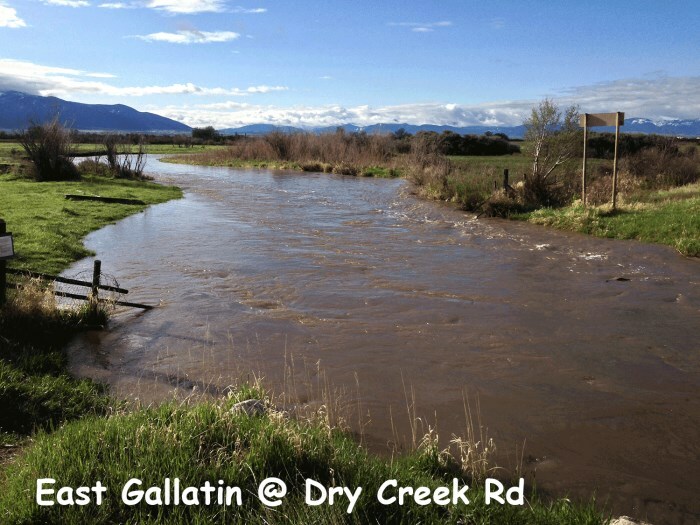 Bozeman, MT – Residents in Gallatin County are encouraged to closely monitor water levels around them with spring runoff picking up. 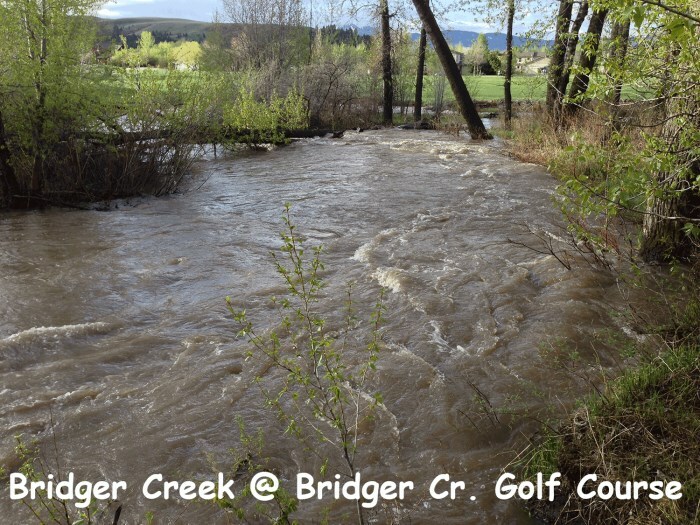 We have seen the water levels rise the past couple days and the forecast weather this week will likely contribute to more water coming out of the mountains. This coming week has daytime valley temperatures in the high 60’s and mid 70’s with nighttime lows above freezing. These warm non-freezing temperatures allow the snow to melt continuously around the clock, resulting in considerably more runoff than when nighttime freezing of the snow occurs. Those around areas prone to flooding should be closely watching the water levels, especially if we start seeing significant and sustained rain. 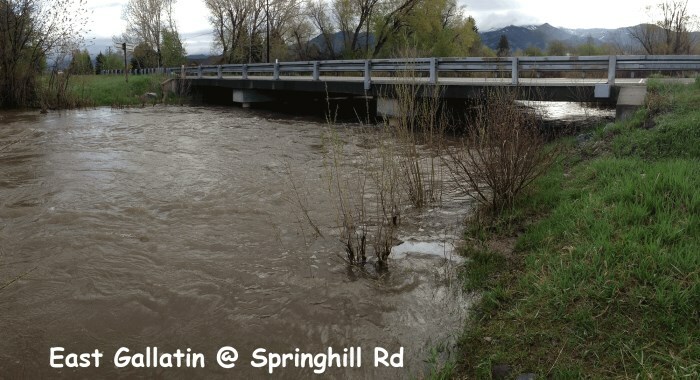 Rain combined with melting snow compounds the amount of runoff and will often result in surges of the river levels. If we see considerable rain, residents should expect to see water levels rise quickly (may take several hours before the rise occurs). Information on flood preparedness and current river levels is available at: http://www.readygallatin.com/flooding.php. It is important to keep in mind that now is the time to prepare your property for flooding. Once flooding occurs, it is often too late to protect your property.